Injectable fillers can often be a great option for women and men seeking non-surgical alternatives to procedures such as facelift surgery or a brow lift. These minimally invasive treatment options can easily enhance your facial appearance, yet still allow you to look like yourself. Dermal fillers work by filling in and smoothing out wrinkles and folds such as nasolabial folds (the parentheses creases along the side of your nose and mouth), marionette lines, and other facial creases. There are several new techniques available today using fillers to lift the brow, lift the corners of the mouth, rejuvenate the hands, smooth scars, or even provide a so-called “liquid facelift.” At M Spa, we will work with you on an individual basis to develop a treatment strategy to target specific areas that bother you. Some of these options may include JUVÉDERM™, Restylane®, Perlane®, JUVÉDERM VOLUMA™ XC, and Sculptra® Aesthetic. Cosmetic fillers come in a variety of categories and each formulation has its own unique benefits and purposes of rejuvenation. Whether your goals include softening the appearance of wrinkles or augmenting facial features that lack volume, the effects of dermal fillers often overlap to address a broad spectrum of concerns. Hyaluronic acid-based fillers are among the most commonly used dermal fillers on the market. As a protein produced naturally in the body, hyaluronic acid is a firm, flexible substance that supports the skin’s collagen layer. It is widely favored as a filler by plastic surgeons around the world for its smooth composition and low likelihood of causing an allergic reaction. Offering multi-dimensional enhancement, HA has the ability to smooth lines and wrinkles, replace lost volume, and provide subtle augmentation to the lips, cheeks, and poorly defined facial contours. HA injectables are utilized aesthetically in the form of products like the JUVÉDERM™ collection—including VOLLURE™, VOLUMA®, and VOLBELLA®—to rejuvenate an aging facial appearance, plump up the hands, and add volume to the temples, among other uses. Fillers made of poly-L-lactic acid (PLLA) are known as bio-stimulatory, meaning they work to stimulate your body’s natural collagen production. Poly-L-lactic acid is often used as an injectable filler due to its ability to increase cell turnover and remodel the skin’s supportive collagen structure. Cosmetically, poly-L-lactic acid is injected in the form of Sculptra® or Sculptra® Aesthetic. This treatment is designed to reverse the effects of thinning facial fat and volume, allowing long-lasting results that appear gradually over time. What are My Dermal Filler Options? JUVÉDERM™ encompasses a family of dermal fillers that all consist of hyaluronic acid. In the human body, natural hyaluronic acid provides volume and fullness to the skin and these dermal fillers have been modified slightly to last longer than the body’s own natural production. As discussed previously, these products do not contain animal proteins. This limits any risk of animal-based disease transmission or allergic reaction and, therefore, no skin test is required prior to treatment. JUVÉDERM VOLUMA™ XC is currently the only injectable filler of its kind to have received FDA approval for volume enhancement in the cheeks and midface for patients 21 and older. Composed of a hyaluronic acid-based solution, this revolutionary treatment is intended to correct age-related volume loss and restore a more youthful-looking fullness to the midfacial region. Additionally, it can often help smooth moderate lines and wrinkles in the targeted treatment area. JUVÉDERM VOLUMA™ XC does not require allergy testing prior to injection, and a local anesthetic contained within the filler’s solution can help diminish any discomfort that may potentially be experienced during treatment. Once injected, the filler’s volumizing effects generally appear immediately, and results have been clinically proven to last up to two years in many instances. Non-surgical lip enhancement can be achieved with JUVÉDERM VOLBELLA® XC, a filler that is tailored to add strategic amounts of volume to thin or undefined lips. If you wish to achieve a softer pout, or if you would like to smooth vertical lip lines, JUVÉDERM VOLBELLA® XC offers effective results that can last up to one year. Specially designed to target wrinkles and facial folds, JUVÉDERM VOLLURE™ XC can smooth creases like marionette lines, nasolabial folds (parentheses wrinkles), and other fine lines around the nose and mouth. This smooth-consistency gel can provide a softer expression in areas affected by pronounced wrinkling by lifting the skin and adding natural-looking volume. Results can appear subtle, yet noticeable, and have been proven to last up to 18 months. As another injectable used to treat the lips, JUVÉDERM® Ultra XC can plump areas that lack volume or simply add fullness to thin lips. The natural-looking augmentation provided by JUVÉDERM® Ultra XC can offer long-lasting results, and most patients report continued satisfaction as long as one year after their initial treatment. Sculptra® Aesthetic is an injectable dermal filler made of poly-L-lactic acid that is primarily used to restore lost volume in the face associated with the natural aging process. Sculptra® Aesthetic works by gradually increasing the thickness of the skin, resulting in the filling in and correction of facial wrinkles and folds. The effects of the treatment are noticed gradually over time, and many of our patients will receive a series of injections over the course of a few months to achieve optimal results. Clinical studies have shown that Sculptra® Aesthetic results can last up to two years, which is significantly longer than other types of dermal fillers available today. All dermal filler treatments are performed by our certified aesthetic nurse injectors and take place at M Spa, our state-of-the-art medi spa. During treatment, small amounts of the chosen dermal filler will be meticulously injected into your areas of concern, allowing a noticeable improvement while still maintaining the natural character of your face. While some fillers can produce immediate results, the outcome of others may appear over time. 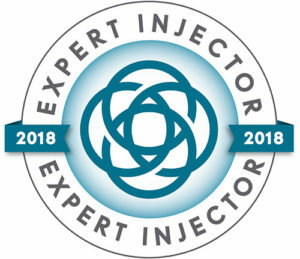 A topical anesthetic can be applied to the targeted regions before injection to allow a more comfortable treatment experience, although certain products—such as JUVÉDERM VOLUMA™ XC—already include a numbing agent in the formulation. Depending on the extent of your aesthetic goals, the whole process typically takes less than 30 minutes. There is usually no downtime associated with injectable treatment and you may return to your normal routine right away. The lifespan of the results achieved from dermal fillers depends on which product was utilized and the area(s) of concern. The outcome of Sculptra Aesthetic® typically outlasts those of other fillers due to its ability to remodel the collagen framework, often providing results that are still evident after two years. JUVÉDERM™, Restylane®, and Perlane® fillers can offer improvement that lasts anywhere from 6 to 18 months. Your aesthetic nurse injector will fully inform you of what to expect with regard to the longevity of your results at the time of treatment. If necessary, we are happy to perform touch-up injections to help you preserve the aesthetic achieved. Although no minimally invasive treatment can exactly mirror the results of cosmetic surgery, fillers can be an excellent option for patients seeking a more economical solution to their aesthetic concerns than a surgical procedure. A member of our team will be able to provide you with a personalized quote of treatment once you visit our practice. At M Spa, we accept plastic surgery financing plans from an array of trusted healthcare lending companies, including CareCredit®, Prosper® Healthcare Lending, and Alphaeon™ Credit. Simply complete the easy application process and, once approved, you will be able to select from a variety of low- to no-interest payment plans to find the most ideal option for your budgetary concerns. For more information about our injectable dermal fillers, or if you would like to schedule a consultation at our office, please contact us today.